BRAC Bank job circular 2018. New vacancy Notice for BRAC Bank updated by there official website www.bracbank.com . October Job circular apply instruction & job details are given below. Candidate must have to apply BRAC Bank Job before 10 October 2018. There are lot`s of people searching for BRAC Bank job circular on google. In Bangladesh, job seeker want to build their Career in various company. 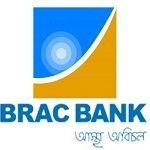 BRAC Bank is an attractive company in Bangladesh. Student can apply this job deadline. Don`t wait to apply BRAC Bank Job Job circular if you are qualified. Detail portfolio review to ensure quality portfolio and up-to-date policy parameters in context of industry and regulatory environment. Formulation, implementation, and review of prudent credit policies and processes for Retail Lending Products in line with local regulatory and market environment. Responsible for setting-up robust Credit & Risk Control standards for managing both quality and quantity, as per agreed Service-levels with Business partners. Supporting Product Team for review of Product Program Guideline (PPG) on timely basis. Portfolio Analytics management including MIS, Reports, Management Presentation packs of all retail asset. Provide credit policy decisions and clarifications to internal stakeholders. Development and Review of portfolio analytics for effective portfolio tracking and ensuring portfolio triggers are within set threshold and to keep the portfolio within acceptable risk appetite. Based on MIS and Analytics, responsible for suggesting changes to Policy including new Policy, modifications to Policy etc. from credit and risk perspective. Keeping track on the portfolio performance, being in close coordination with Collections teams on the delinquency status, and ascertain implications of any policy changes. Provide portfolio analysis insights to all relevant stakeholders i.e. credit analysts. BRAC Bank Jobs Circular Notice for specific skills and work experience new worker in May 2018. For fresh candidate, one must possess a minimum CGPA of 3 (out of 4) at both graduation and post-graduation level and minimum CGPA of 4.50 (out of 5) at S.S.C and H.S.C levels from UGC approved institution or internally accredited institution. Having additional degree in MBA/ Masters will be considered as an added advantage. Good knowledgeable candidate can apply this circular. Before apply October read this circular again or check specific skills, types and amounts of work experience, personal qualities,professional certifications, educational credentials or areas of knowledge.